Betlem Club Hotel is ideally located in the historical center of Prague. 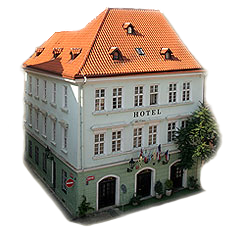 Accommodations in Prague center that are very convenient, especially if you come to Prague for the sights, the shopping, the culture, the romance or just for an adventure. You are right in the center of action and everything is quickly accessible on foot or by the public transportation system. What is Prague City Center? The districts regarded as the historical center of Prague are: Old Town, New Town, "Jewish Town" Josefov, Lesser Town, Hradcany, Vysehrad and part of Vinohrady. The areas near the city center are Vinohrady, Smíchov, Nusle, Vršovice, Zizkov, Karlin, Liben, Vysočany, Holešovice, Bubeneč, Dejvice and Braník. In addition to dividing the city into quarters, Prague has been divided into city districts from Prague 1 to Prague 10. Prague City Center consists of districts Prague 1, Prague 2 and Prague 3. Districts Prague 4 to Prague 10 are arranged in a ring around central Prague.